The New York Reclaimed Teak Dining table will inspire you to create a fantastic dining space that has style and function. 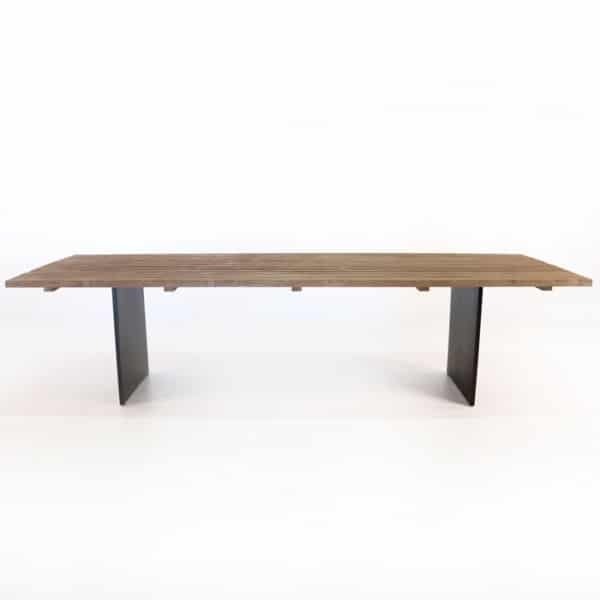 This reclaimed teak dining table will help you welcome friends and family to dine by candlelight on a covered patio or inside your big city loft. The New York Reclaimed Teak dining table is one of a kind. It mixes materials that will complement many diverse design styles. 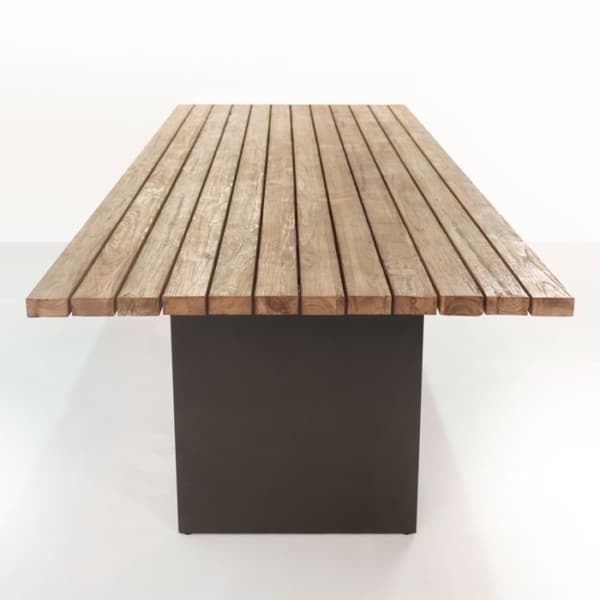 The raw look of the reclaimed teak tabletop feels rustic and earthy while the powder coated iron legs add an edgy industrial vibe. 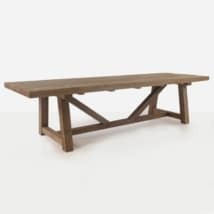 This reclaimed teak dining table will help transform any dining space whether indoors or on your covered patio. Get creative according to your mood with tabletop décor. Feeling romantic? Dress the table with flowers to add a soft touch. Or keep it clean and modern with some of our black concrete accessories. 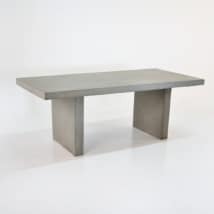 This table comes in two different sizes depending what your space allows. We love the Panama dining chair with this set, but pick a chair that speaks to your style. We have over 100 different styles of dining chairs to choose from so you can create a dining set that is all your own. This table is made with reclaimed teak, powder coated steel and the highest quality construction. 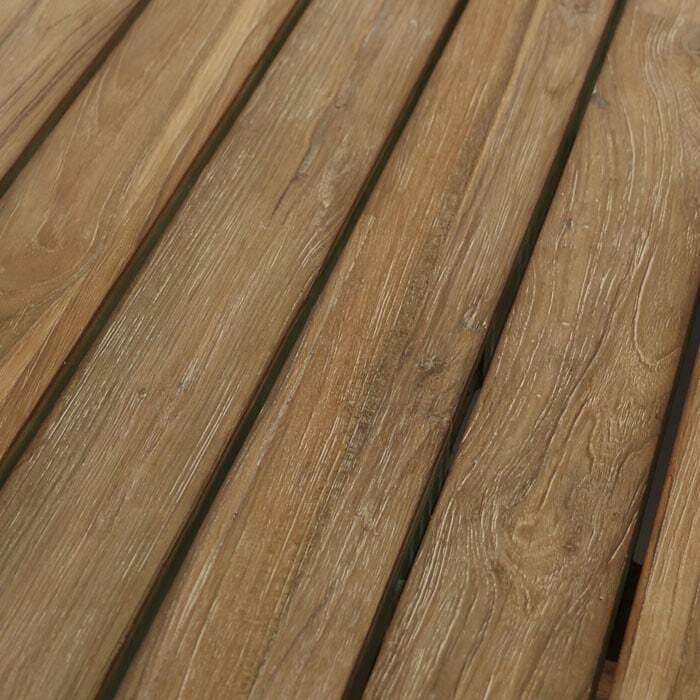 Reclaimed teak is very strong and durable, plus it has a stunning texture and color making every piece unique. Use a lint free cloth and warm water to clean up any spills. 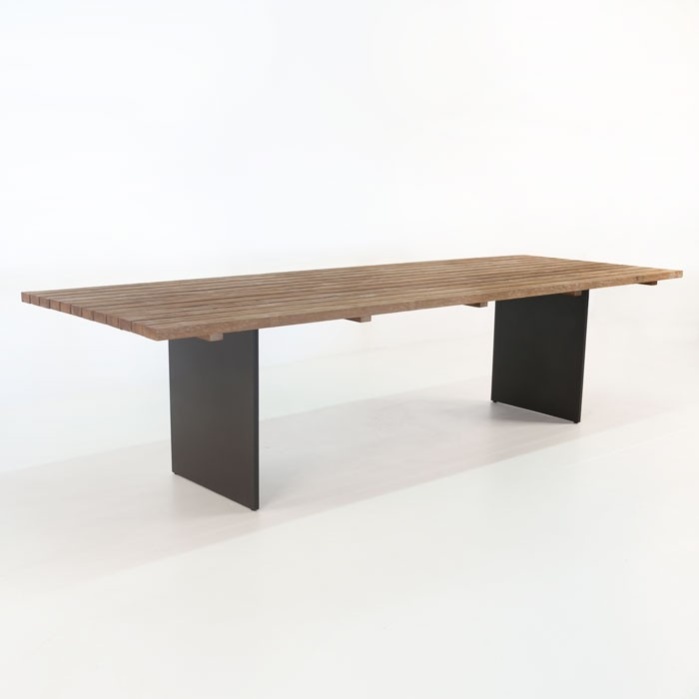 This Reclaimed Teak Dining Table is definitely a statement piece that you will treasure for many years to come. 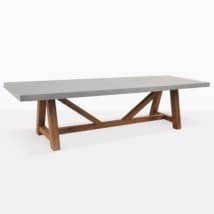 Call us today and we will be glad to help you choose the best dining table for you and your living space.